There were two rows of residential units bulit at the site of the Stone Houses at the end of the 19th century. They belonged to the Ho Family and several families living there. 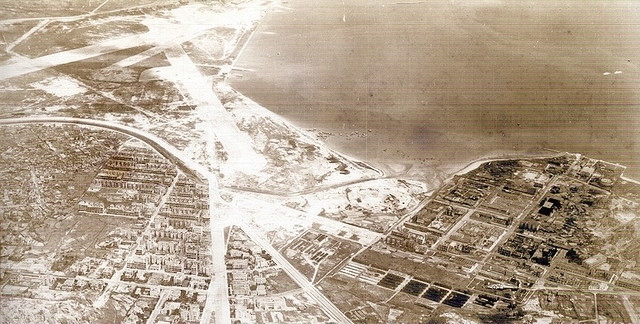 During the Japanese occupation, in order to expand the Kai Tak Airport, the Japanese army demolished many villages in Kowloon City. They later built clusters of squatter huts in the site near the nowaday Junction Road to resettle the villagers. After WWII, there was an influx of refugees fleeing from the civil war in Mainland China who settled at the Stone Houses area. 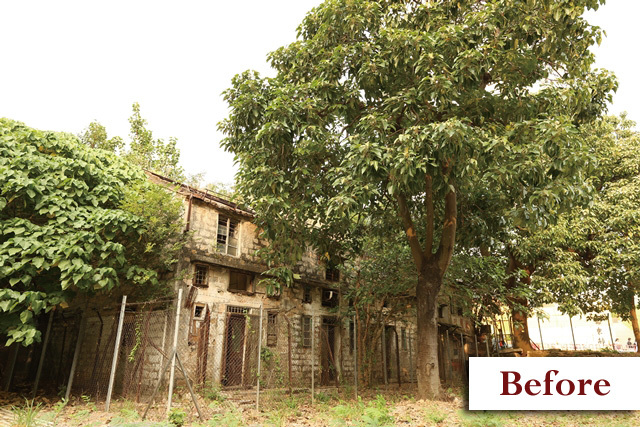 It therefore became a squatter area, later known as the Hau Wong Temple New Village, “Lai Chi Yuen” and “Ho Ka Yuen”. 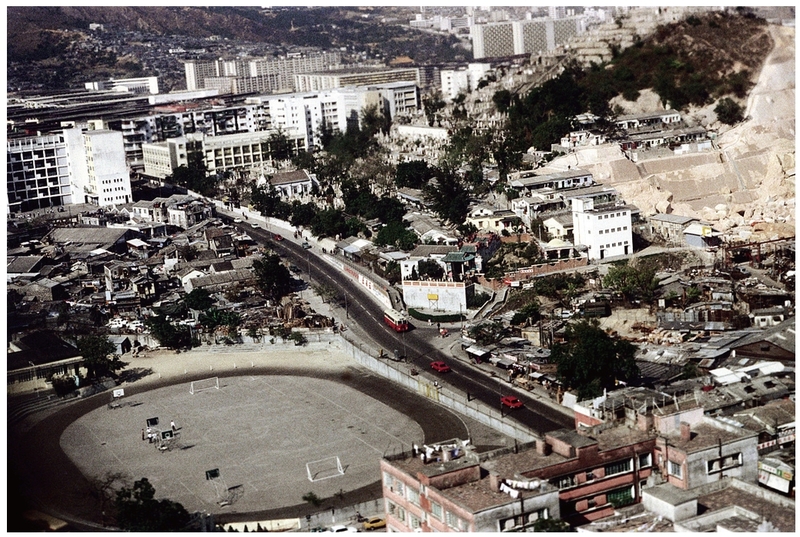 A row of five traditional Chinese vernacular houses can be seen in the aerial photos of “Ho Ka Yuen” taken in 1945 and 1949. 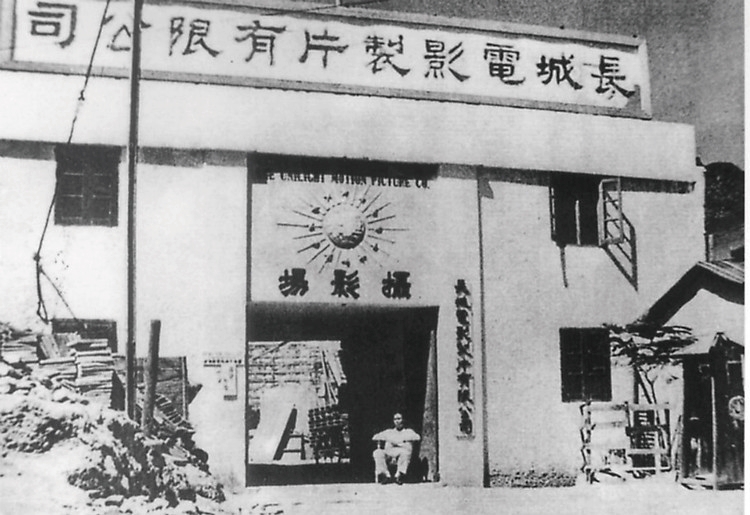 Later several film studios namely Sai Kwong Film Studio, Yau Kiu Film Studio and Great Wall Movie Enterprise Limited operated in the area. Due to the rise of the industrial sector in the 1960s and 1970s, small scale factories and ateliers sprang up in the area. 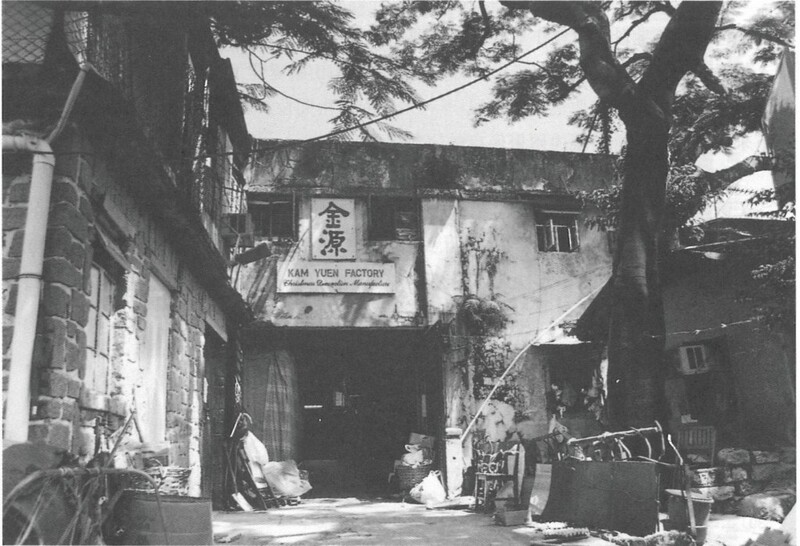 An example was Nam Yan Kee Grave and Tombstone Construction Company, back then located at No.31 of the Stone Houses. 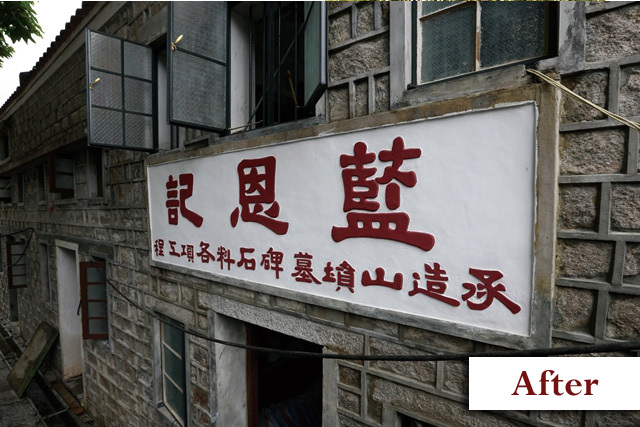 Going in line with the redevelopment project of Kowloon City, the squatter area was completely cleared in 2001, but the sign board of Nam Yan Kee has been retained. The Stone Houses consist of a row of five Chinese style two-storey tenement buildings, constructed of granite blocks with walls supporting pitched roofs of timber rafters, purlins and clay tiles. 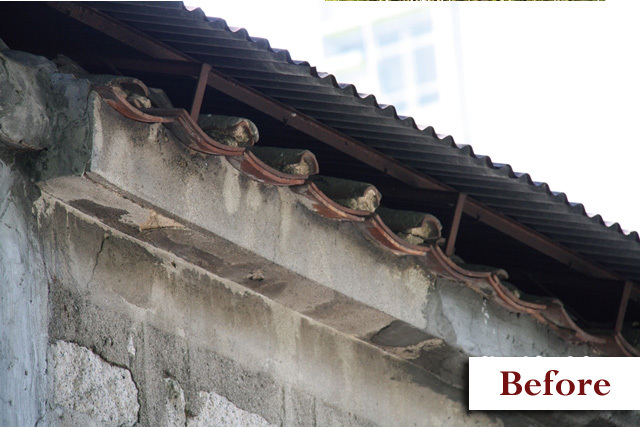 The roofs are covered with Chinese pan and roll tiles. A kitchen and a toilet are found at the rear court of the Houses. Doors of the Houses are in Chinese style, with timber locks and rock sockets. No. 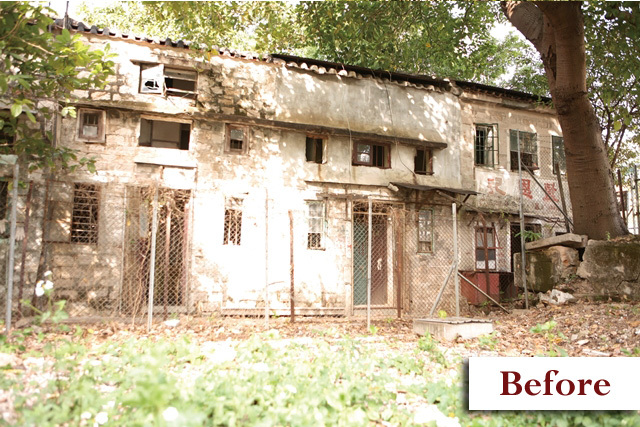 31 of the Stone Houses was once rent to Nam Yan Kee Grave and Tombstone Construction Company. One of the most salient features of the Stone Houses is the stone tablet with the name “Nam Yan Kee” inscribed on it, believed to be put there in the 1980s upon the opening of the company. 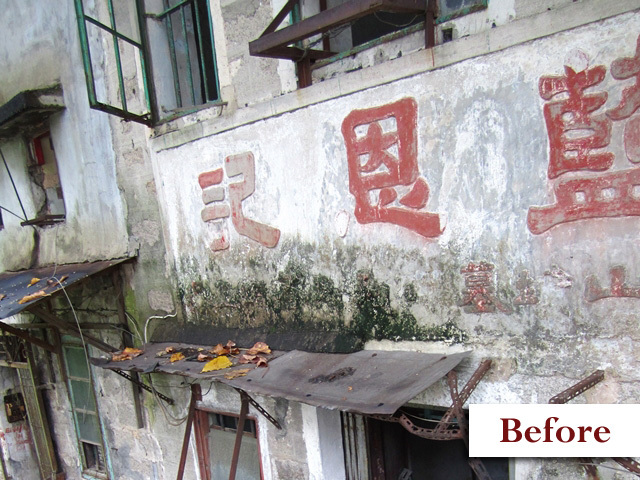 The sign board that remained signifies the long history and changes of the Stone Houses. The windows of house No. 31 were renovated with the same metal frames used in the early days. The Stone Houses were built with granites. 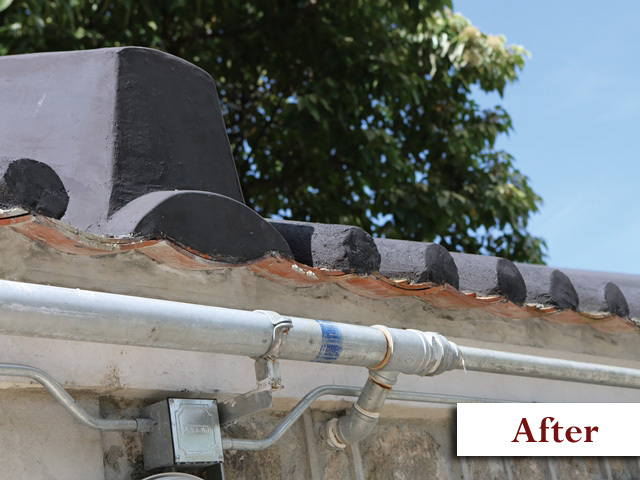 Their wall plaster was removed during renovation, and the cracks between the granites have been filled by mortar. 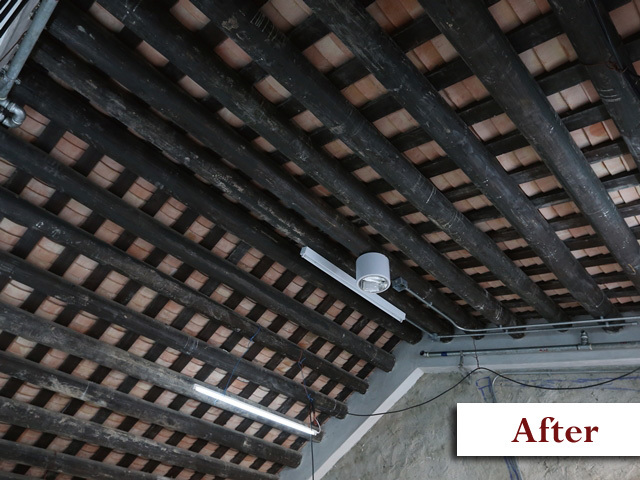 Before revitalization, corrugated metal sheets were added to cover the original Chinese-styled pitched roofs. 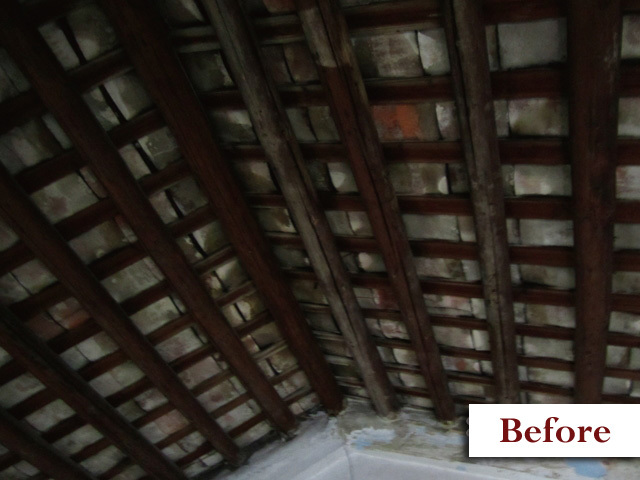 To resume its traditional Chinese architectural style, and to satisfy statutory safety and waterproof requirements, the covers have now been removed and the roofs reinstated. 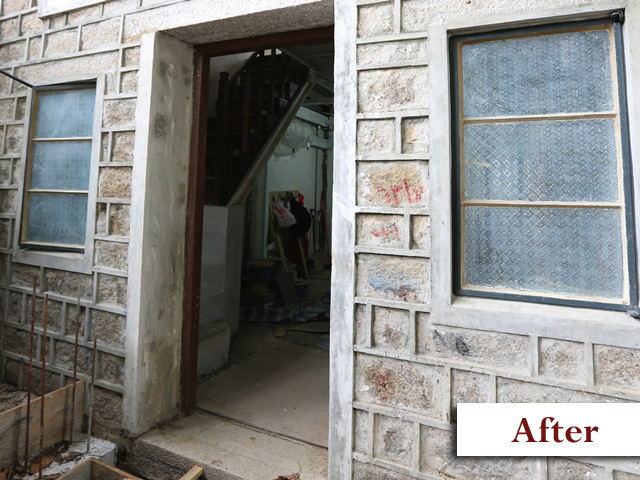 The Stone Houses Family Garden is an attempt to restore and revitalize the architectural features of the Stone Houses. It also manifests the historical and cultural significance of the site to the new generation, helping them to better appreciate the importance and value of cultural heritage. The Interpretation Centre is converted from No. 32 of the Stone Houses for educational purpose, with relatively intact facilities such as kitchen and chimneys. Old-fashioned furniture are placed in the restored unit to reconstruct the reminiscent atmosphere. Providing catering services and board games, the themed café, located right at the historic site of the Stone Houses, brings a unique and incomparable reminiscence to the visitors. Through games and activities conducted, the themed café aims at enhancing interaction among young visitors, nurturing the youth with an upright and positive outlook of life, and providing them with job and training opportunities. The Labyrinth forms the surface pattern of the open space of the Stone Houses which is based on an aerial photo taken for exactly the same location in 1964. 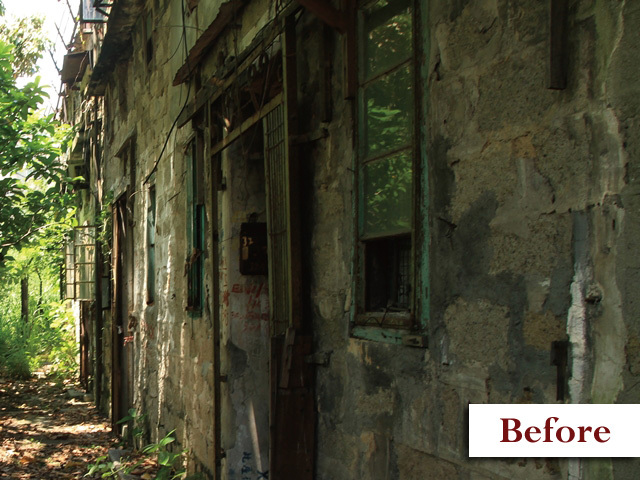 It is the only labyrinth facility in the Kowloon City open to the public for their meditative walk.